E. B. 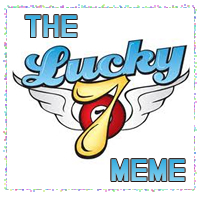 (Erin) Pike at Writerlious has tagged me for the Lucky 7 Meme Challenge. Thanks, Erin! Now it’s my turn to post from a work-in-progress and tag seven more writers to do the same. Go to page 77 of your current WIP manuscript. Let each and every one of them know. Here are seven lines from Spirit Lamp, a work of literary historical fiction set during WWI in rural Mississippi. The novel is complete, and I just finished making a tough revision pass through it. Now it’s on to considering my readers’ responses and composing the dreaded query letter!
. . . dizzying arc a few feet in front of her, but she had learned long ago to step where he stepped. Now she knew the way as well as he. When they got to the woods, he snuffed the lantern out and made his way silently among the trees. Now and then he stopped and held out his arm, a signal to Leona to be still. It meant he had stopped to listen, or he had heard or sensed movement. She could see him in the graying light. He pointed to the base of a pine tree and motioned for her to sit. He moved twenty yards away and sat beneath another tree. She could just make him out, so still, his shape darker than the dark around him. The tree trunk became part of the . . .
Now for the tags, writers! I hope you’ll accept. Please follow the rules above, post your WIP lines, and pass the challenge on. Feel free to post here in a comment, too. As E. B. says, it’s a great way for us to share bits of our works-in-progress. And to round out the seven . . .
I’d love to add more, but I’ll leave that to these fine folks. Thanks again, Erin, for the tag. This was fun! Gerry, I love that! You write so beautifully about nature — it feels so alive, and I can completely imagine the scene from those few lines. I’m looking at my pg 77, of my very raw draft, and wondering, Do I brave it? Thanks for including me — I think I’ll post mine tomorrow or Wednesday. Lovely prose, Gerry! This is great. I totally have a complete scene in my head from just these few lines. Thanks so much for including me, and congrats on finishing your manuscript!